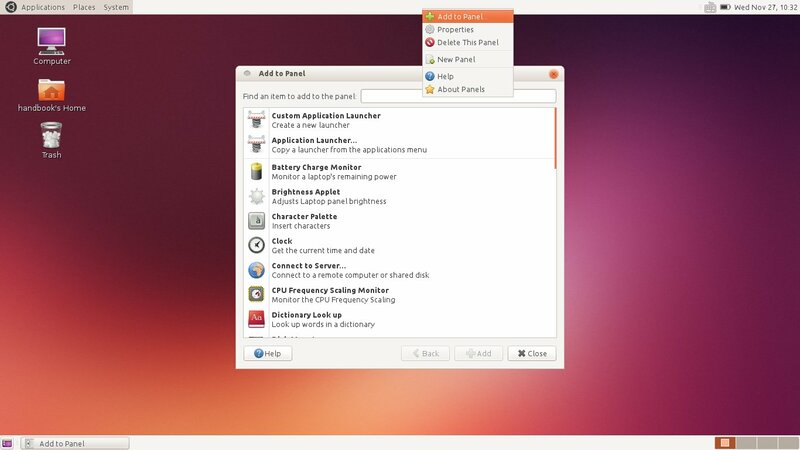 Gnome 2 Desktop was the default in Ubuntu (10.04 Lucid and earlier). 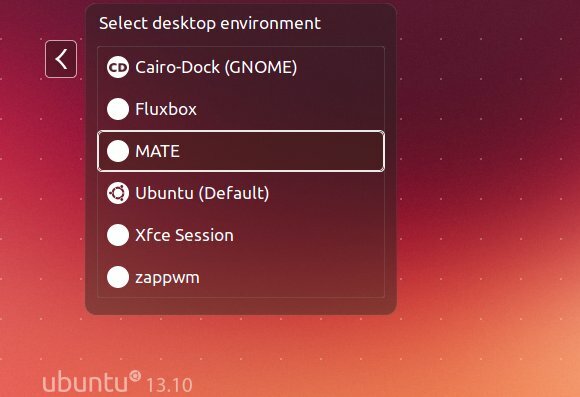 If you would like to install this classic DE in Ubuntu 13.10 Saucy, try MATE, which is a fork of GNOME 2, aims to preserve the classic desktop metaphor. 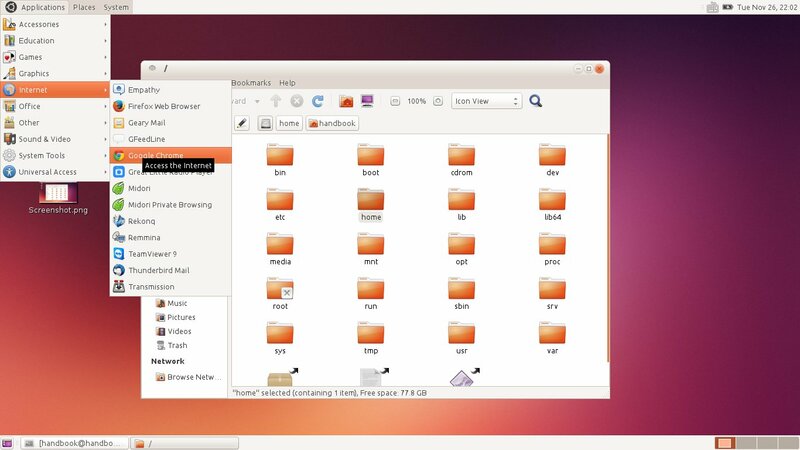 NOTE: If you just want a classic Gnome style panel and app menu, search for and install gnome-session-fallback in Ubuntu Software Center and log out and back in with Gnome Flashback session. sudo add-apt-repository "deb http://packages.mate-desktop.org/repo/ubuntu saucy main"